Who Remembers C-Band Satellite Dishes? I recently saw a satellite dish that I haven’t seen in decades. My wife and I were driving through the northern mid-Michigan area on our way to my nephew’s wedding. Right there, in the backyard of someone’s home, was a satellite dish that was big enough to be a kiddie pool. My wife was the first one to call my attention to it. I slowly drove along the shoulder of the road to get a better look at the dish. The ominous scene looked like something out of a horror movie. The skies were overcast that day, and a light fog had rolled in from the nearby Saginaw Bay. It hovered waist-high over the desolate farmlands in the area. The boarded up windows on the home told me it was abandoned, and the dish was in similar shape. Its original white color was stained with streaks of rust, and two crows perched atop the dome. “Remember when satellite dishes were that big?” Mrs. Buckler asked. “As a matter of fact, I do,” I replied. I quickly put on my signal, merged back onto the road, and drove to the reception hall. While I enjoyed the fun and festivities of my nephew’s wedding, that big, dilapidated dish stuck with me. It was just such a creepy scene, but that wasn’t all of it. Seeing that dish stirred memories of my childhood and another big satellite dish very similar to the one my wife and I saw. That old faded satellite antenna behind that abandoned home was a C-Band dish. Some people called these things a “big, ugly dish,” and they are definitely a relic of satellite TV’s long, nearly-forgotten past. Those C-Band dishes were popular during a time when every broadcaster’s signal was “free to air.” Much like local TV stations, the pay channels broadcast their signal with no encryption to protect it from being taken. 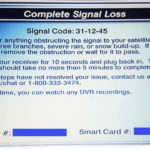 These broadcasters didn’t worry about this because no one was able to receive these signals except for other broadcasters. The birth of the C-Band satellite is a testament to human ingenuity. Knowing that it was possible to snag free cable TV signals, it didn’t take long for someone to come up with a way to get them. This was the C-Band dish. I’m not sure who was the first person to invent this device, but it didn’t take long for Radio Shack and other tech shops to stock these dishes. I can’t forget the days when those “big, ugly dishes” dotted the landscape of the small, mid-Michigan town where I grew up. My experience with C-Band dishes proves the old saying, “All good things come to an end.” Allen’s free access to MTV made him a big-ticket item at our school. The poor sap just wasn’t able to handle the pressures that come with sudden fame and popularity. It didn’t take him long to use me as the first rung on his climb up the social ladder. When the football team and cheerleaders started hanging out at his house, he made it clear that I was no longer welcome. I was relegated to playing Dungeons & Dragons by myself for the rest of the school year. 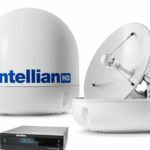 What Happened to C-Band Satellite TV? As the lonely and abandoned C-Band dish behind that home could attest, C-Band satellite TV didn’t withstand the test of time. The home satellite market of the early 1980s was a huge threat to the cable companies. To put an end to the days of “free cable,” the various pay channels began to encrypt their signals. If people wanted those channels and content, they would have to pay the cable company for the privilege and equipment to decrypt them. This all but killed the C-Band satellite dish, although rumors abound that there is still some obscure stations that can be picked up with those “big, ugly dishes.” Only the most ardent hobbyist would ever bother with C-Band frequencies and equipment. 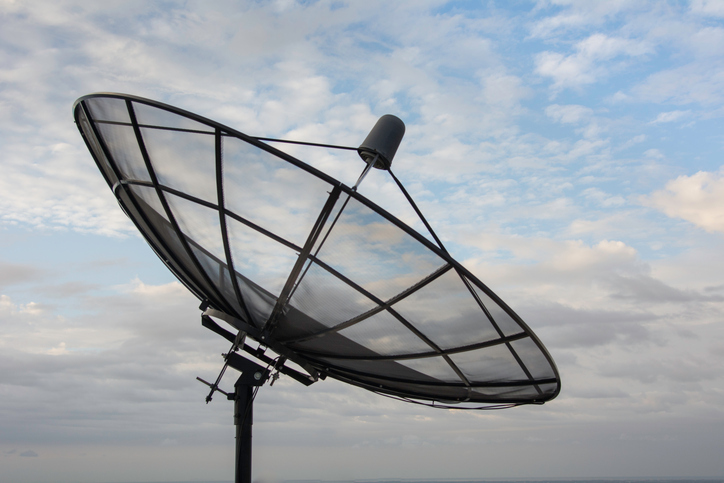 Free-to-air satellite and C-Band dishes are a relic of a bygone era, and it’s a good thing. While the idea of not having to pay for pay channels is great to a teenager, as an adult I know it’s not good for the economy. No business can survive if it gives it just gives its services away. Besides, satellite TV has gotten a lot better since the 1980s. 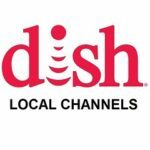 Providers such as DIRECTV offer a wide array of top-notch satellite TV dishes and equipment, and its programming is second to none. Sure, you have to pay to decrypt DIRECTV’s programming, but it’s a much better value than cable TV in terms of what you get. Speaking of DIRECTV, Signal Connect is an AT&T Preferred Dealer. This means we’re your No. 1 source for satellite TV. We’ve been doing this a long time, so we can help you with every step in the process. It all starts with your questions. If you’ve been thinking about getting DIRECTV, you probably want to know more. 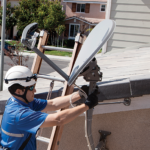 From installations to upgrades, programming packages, and more, our reps are answer all your questions about DIRECTV. Getting this information is as simple as picking up your phone and calling us at 866-726-4182. This entry was posted in AT&T/DIRECTV, DISH and tagged directv, dish, Equipment, satellite dish. Bookmark the permalink.